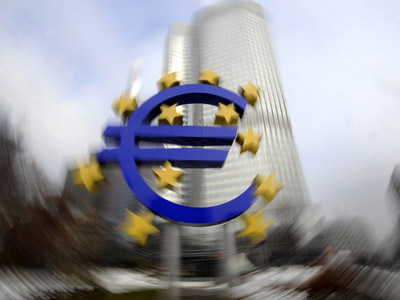 The euro zone is in "critical" danger and the European Central Bank could play a bigger role in fighting the debt crisis through more rate cuts, bond purchases and further liquidity provision, says the International Monetary Fund. 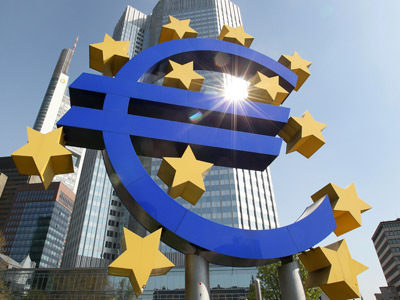 In a regular report on the euro zone the IMF said the euro area crisis has reached a new and critical stage and the ECB, which is legally forbidden to finance governments, could be given full lender-of-last-resort functions. This would help highly indebted governments borrowing from banks which in turn become vulnerable due to the risk associated with the bonds. 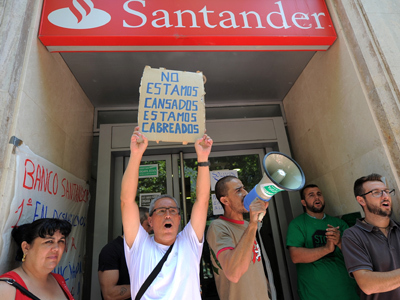 "The ECB can provide further defenses against an escalation of the crisis," the IMF report said. "These could include policies to support demand in the short run and fend off downside risks to inflation, as well as measures to ensure monetary transmission, currently impaired by financial stress in some countries." "And to further strengthen its financial markets role, the ECB could also be given explicit responsibility for financial stability and full lender-of-last-resort functions, thereby eliminating bank-sovereign linkages present in the current Emergency Liquidity Assistance (ELA) scheme," it said. The IMF said the ECB has enough room to further lower borrowing costs, currently at a record low of 0.75% because the economy was weak and inflation risks small. The bank could try quantitative easing (QE) with "sizable" sovereign bond purchases, possibly preannounced over a given period of time, the IMF said. The ECB could also embark on further sovereign bond purchases of countries that are under market stress – its Securities Market Programme (SMP). "A well-communicated re-activation of SMP purchases would likely carry strong signaling effects which might mitigate the need for very large purchases," the IMF said. The ECB report echoes the comments by ECB Governing Council member Luis Linde on Tuesaday, who said that it is not impossible the European Central Bank's program of sovereign debt purchases could be reactivated one day. The new Governor of the Bank of Spain was asked following his first appearance before the Spanish parliament's Committee of Economy and Competitiveness whether he would advocate the resumption of bond purchases at the ECB, having said in earlier comments that the program had had a positive impact. 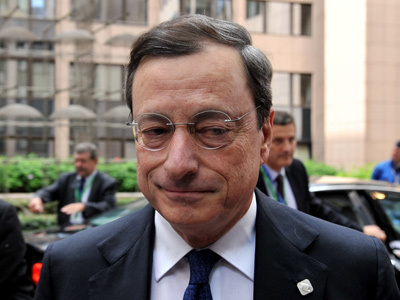 "Of course it has been a positive measure that the ECB at certain moments bought the debt of member countries of the monetary union," he said. "I know that there were moments at which some governments would have desired more purchases, and others less." The idea of reactivating sovereign debt purchases by the ECB had been criticized by executive board member Benoit Coeure who dashed the prospect of the ECB buying government bonds to calm financial markets, saying it was up to the euro zone's ESM rescue fund to do so if needed. "The governments set up a mechanism which is the European Stability Mechanism and last week they confirmed that the ESM could intervene on the secondary market," Coeure told a financial conference in Aix-en-Provence in southern France.